Santa Fe County has signed a new recycling contract with Albuquerque-based Friedman Recycling. As a result, residents are now allowed to recycle more items. HOBBS (Scrap Monster): Santa Fe County has announced expansion to its curbside recycling program by including more items. The County’s Solid Waste Management Agency has entered into an outsourcing contract with Albuquerque-based Friedman Recycling. As part of the expansion, residents are now allowed to recycle a wide variety of items including books, egg cartons, plastics numbered from 3 to 7. The above items will be added to the County’s curbside collection. In addition, residents would be allowed to drop off these items at collection sites. The contract allows Friedman Recycling to process and market the recycling currently consolidated at the Buckman Road Recycling and Transfer Station (BuRRT). It is expected to result in savings of approximately $200,000 per year for the Agency. The agency has also entered into a revenue sharing agreement with Friedman, which proposes to review the profile of County recycling stream once in six months to determine the revenue share. The expanded program will help residents to recycle materials more easily and frequently. It is considered as a first step towards moving to single-stream recycling collection, noted Solid Waste Management Agency. 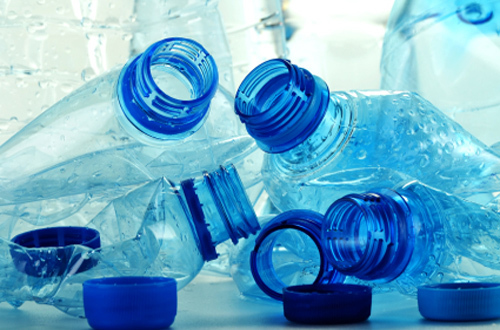 The acceptable items include plastic containers water bottles, milk jugs, laundry soap containers, clamshells, yogurt containers, milk cartons, juice cartons and plastic drink packaging. However, residents will be required to separate glass recyclables. The new partnership is expected to boost the county recycling rate which now stands at 11%.